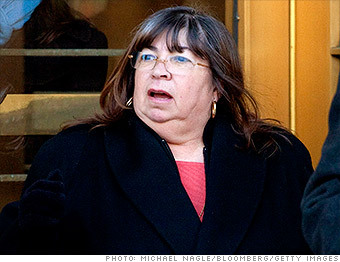 These ex-employees were convicted of helping Bernard Madoff pull off his $20 billion scam -- the largest in history. Bongiorno testified that she spent years recording trades for Madoff that didn't exist, without truly understanding what she was doing. "[Madoff] told me what to do," She said. "I typed." Bongiorno also claimed that she didn't know what the S&P 500 Index was, even though she admittedly spent years staring at a Bloomberg terminal as she backdated years' worth of fictional trades. Ex-employee says Madoff "told me what to do"